Following on from our piece on the action taken by the FTC against two melanoma apps, it has been drawn to this editor’s attention that Mole Detective is still available, for £3.14/download, on the Google Play Store. Mole Detective Settlement and Lawsuit. Kristi Kimball and her company, New Consumer Solutions LLC, developed and first marketed Mole Detective in January 2012. U.K.-based Avrom “Avi” Lasarow and his company, L Health Ltd., took over marketing the app in August 2012. The marketers advertised the app primarily online, where it has sold in the Apple and Google app stores for as much as $4.99. The settlement with Kimball and her company prohibits them from claiming that a device, such as an app, can detect or diagnose melanoma, unless the representation is truthful, not misleading, and supported by competent and reliable scientific evidence in the form of human clinical testing of the device. It also prohibits them from making any other misleading or unsubstantiated health claims about a product or service, and requires them to disgorge $3,930. The agency will pursue a litigated judgment against non-settling defendants Lasarow and his company. 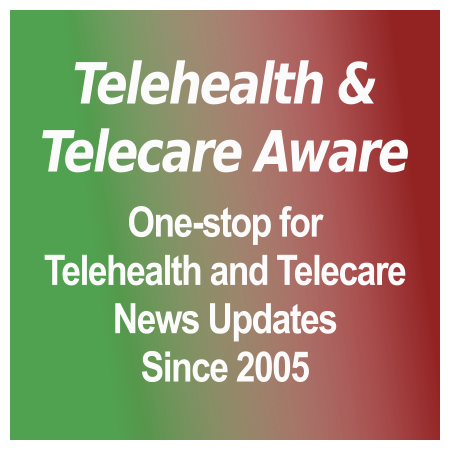 The Telecare LIN Newsletter for this month is out now and contains 44 pages of news, views [grow_thumb image=”http://telecareaware.com/wp-content/uploads/2015/02/ALIP.jpg” thumb_width=”150″ /]and updates on various projects related to care for the elderly and telecare, mainly from the UK. A short article in the NHS England website announcing a meeting in London in March entitled “Older People’s Care Summit” is highlighted and some of the statistics there caught my eye. It says that there are 3 million people over the age of 80 in the UK and by 2030 the number is expected to double with the figure reaching 8 million by 2050. I’ve worked with the demographic change graphs for some time now but this is a particularly stark statistic to bring home the need for new approaches to care for the elderly. (The summit still had spaces available if anyone is interested and registration is at this page). There is a link to Roy Lilley’s new website “The Academy of Fabulous NHS Stuff” and pointers to some article on telemedicine in China. On the technology side there is an item on mental health apps and a pointer to a good article on why Australia (could be any country really) isn’t further ahead than it is with Assistive Tech for the elderly living at home. A good read to catch up on things you may have missed over the month. Contrasting with Editor Charles’ ‘bad apps’ that made spurious claims on detecting dangerous melanomas is Pittsburgh-area Iagnosis’ ‘DermatologistsOnCall’ app set to launch 1 May on iOS and Android. This app is a virtual consult which will be available in 18 states. Currently it is available as an online service to Highmark commercial insurance members in Pennsylvania, West Virginia and Delaware, who provide a brief history, information on the condition and upload photos to a secure website. A board-certified dermatologist reviews, then provides a diagnosis, comprehensive treatment plan, prescriptions and if needed, an in-office referral for $45 (Highmark) and $59 (private). Present turnarounds average about 12 hours. To date they have raised an admittedly modest $2.8 million as part of a $7.25 million Series A preferred stock/debt conversion round, according to the Pittsburgh Business Times. Also MedCityNews and CrunchBase. It is most encouraging to see that the FTC in the US has reached a settlement with two suppliers of “Melanoma Detection” apps: “In two separate cases, marketers of MelApp and Mole Detective have agreed to settlements that bar them from continuing to make such unsupported claims.” The FTC are pursuing actions against two other companies. [grow_thumb image=”http://telecareaware.com/wp-content/uploads/2015/02/healbe-gobe-top-4-970×0.jpg” thumb_width=”150″ /]At CEWeek NYC last June, this Editor spent some time with Healbe’s co-founder, who demonstrated to me a prototype of the Healbe GoBe 100% Automatic Body Manager fitness tracker. I walked away underwhelmed at its performance and skeptical of its main claim to fame–automatic measurement of caloric intake via measuring blood glucose conversion to fluid in cells. This was reinforced by a trail of tech product reviewers digging into its development, the controversial science behind it and a growing rebellion on Indiegogo, where contributions exceeded $1 million. Then it took delays–first September, then November. Few in the industry believed it would ever ship. Epic Systems, the #1 company in the hospital and large practice EHR business, is launching its own app store, reportedly within a few weeks. This opens up interesting possibilities not only for mHealth app developers–who need application standards and guidelines soon–but also for Epic’s reputation as a closed system that shies away from interoperability with other EHRs like Cerner, Meditech and McKesson–a serious wrinkle with their Department of Defense EHR joint bid with IBM to replace AHLTA. The HIT Consultant article quotes a leading Epic customer consultant on that the first apps will be clinical, then crossing over into consumer; the latter seems an obvious move with PHRs (personal health records) as part of Meaningful Use requirements. As a distraction from the things that, before the advent of handheld technology, little boys used to do in the school playground when this editor was young, once in a while we would engage in the pointless debate of what would happen if an irresistible force met an immovable object. Those debates came to mind when Graham De’Ath kindly drew this editor’s attention to the recently published Labour Ten Year Plan for Health & Care. Now Telehealth & TelecareAware knows better than to indulge in politics, however the document was notable in that it did not make any significant reference either to the demographic reality of the next ten years, or the likely role of ‘technology’ in assisting with the resultant increase in care required (the word is mentioned just once, in the commitment to: “Set up a wide–ranging review of NICE which will look at reforming the NICE technology appraisal process…” [actually already underway by the NIB]). The Labour Party is far from being alone in this – readers with long memories will recall our amusement as the RCGP’s ten year forecast of the changes in GP practice where the biggest role technology was expected to play in 2022 was in remote delivery of test results. There will be much more; this article by Chris Seper in MedCityNews is an excellent recap. Our articles previously in TTA. 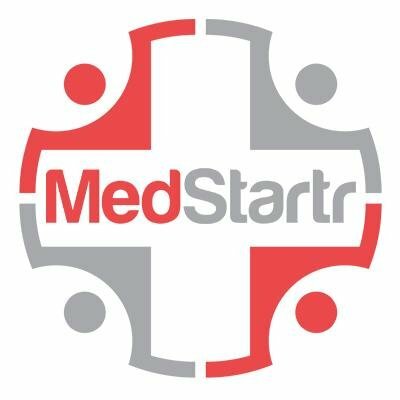 The American Geriatrics Society (AGS), the US association of physicians and other healthcare professionals who care for older adults, is inviting startup technology companies to a special exhibition area during their annual meeting 15-17 May in Washington DC (National Harbor). Along with a modestly priced display in the Technology Innovations Pavilion, 12 companies will also receive feedback and coaching sessions with geriatrics clinicians plus full conference access for two. Companies are selected on the basis of their application and the value of their technology to geriatric patients and caregivers. Applications are open until 15 March and apparently are not restricted to US companies. AGS page, application Hat tip to Wen Dombrowski, MD, of Resonate Health. AstraZeneca Healthcare Foundation, the charitable arm of the UK based pharmaceutical company AstraZeneca, has awarded $205,564 to HSHS St. John’s Hospital in Illinois to support their Tele-Heart Pathway programme. [grow_thumb image=”http://telecareaware.com/wp-content/uploads/2015/02/HSHS.jpg” thumb_width=”150″ /]The programme provides interventions to heart failure patients in their homes to support health management. With telemedicine and telehealth technology doctors monitor symptoms and help avoid complications at home after surgery, according to the hospital. Hofstra-North Shore LIJ in Long Island, New York has new students spend their first eight weeks not in lecture classes but becoming certified emergency medical technicians (EMTs). This Editor guarantees they will have a greater appreciation for emergency medicine and patients needs after this. Penn State-Hershey, a major medical system in eastern central Pennsylvania, has their first-year students work as “patient navigators,” helping them and their families get through the medical system and learning about it, from the patient perspective, first-hand. The article doesn’t specify, but presumably they will learn something about how EHRs work (or not), PHRs and the pre/post-discharge process. Mayo Clinic is converting much of the traditional lecture material to electronic formats for its two medical schools for greater accessibility. [grow_thumb image=”http://telecareaware.com/wp-content/uploads/2014/09/apple-watch-beauty-shot.png” thumb_width=”150″ /]According to multiple press sources in the past 24 hours, the anxiously-awaited Apple Watch is rumored to be having big trouble with its more advanced healthcare measuring features. We noted at the time “Haptic engine and heart rate monitor; 4 lenses. infrared, LED, photo sensors detect pulse.” plus daily activity [TTA 9 Sep, 11 Sep 14]. Well, not quite. The Wall Street Journal broke the news that it will not debut in April including monitoring of “blood pressure, heart activity and stress levels” as originally planned because, simply, the watch did not measure them reliably and accurately (hairy, sweaty arms! ), they were too complex or required regulatory approval (not so–see FDA and MDDS).